Entry by FaQ on Sat Oct 13 04:32:23 2012. While I wish this calendar has Grimmjow in it, unfortunately I don't think so because it's been so long since we last saw him in the series; not to mention this calendar seems to feature only post-time skip characters. I wonder if any of the pages has Rukia and Orihime in it. I really wish it has a solo page of Ginjou though, one of my favourite men in Bleach. <3 And preferably in his regular look - his Bankai design is not bad, but I prefer his usual look. But you need to have an account, if you want to download it. 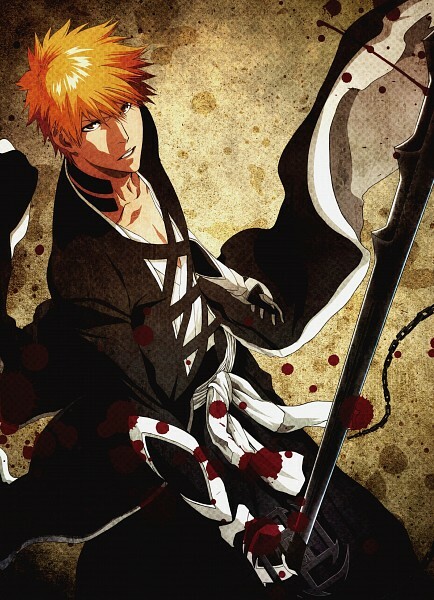 Usually Ichigo doesn't stir me but if he would always look like this or his brunet self, oh my...!